MD [RAD.ONCOLOGY] : 1997, Tata Memorial Hospital, Mumbai. 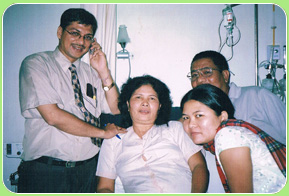 Visiting Consultant at Meherbai Tata Memorial Hospital, Jamshedpur-1997-98. Attachment: Chittranjan National Cancer Institute [Regional Cancer Centre] -1998-2001. Mission Of Mercy Hospital, Kolkata — Till 2009. Subodh Mitra Cancer Hospital, Kolkata -Till Date. Host / Chair / Participate in workshop / symposium / conferences / teaching course both in India and abroad. Invited for a debate session in the 4th International Seminar on Psycho social oncology held by RGCI & RCC andR&R hospital, Delhi, April 1999. 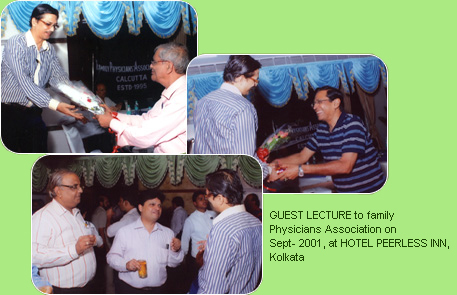 Participated in a guest lecturer in 17th Annual Conference and Scientific Meet organized by Indian Medical Association [IMA] in Kolkata , June 2005. Invited to attend LYFE [ Lymphoma Forum of Excellence] programme org. by Is Dept. of Medicine, Charles University held in Prague,Czech Republic in April 2006. Invited as a visiting faculty in the department of Radiation Oncology, Montefiore Medical Centre, Albert Einstein College of Medicine, New York, in February 2007. Invited as a faculty in CME on Palliative care and 3rd Annual Conference of North East Zonal Chapter of Association of Radiation Oncologist of India [AROI] held in Agartala, September 2007. 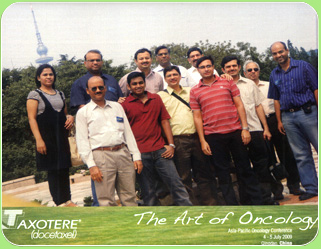 Organised as an Executive Committee Member in International Union against Cancer [UICC], ICRETT training workshop held in AMRI hospital, Kolkata, October 2007. Invited to attend the Asia Pacific Breast Cancer Summit held in Hochi Minh City, Vietnam, May 2008. Invited as a panelist to discuss - "Tobacco and Oral cancer and its related myth", on behalf of Global Cancer Trust held in Kolkata, February 2010. Invited as a panelist in 1st Brinker Awardee programme on Breast Cancer, organised by Artemis Cancer Centre on 13th December 2010. Received Bharat Jyoti Award on behalf of IIFS on December 2010. Published a handbook on 'Modern Radiotherapy" in January 2010.